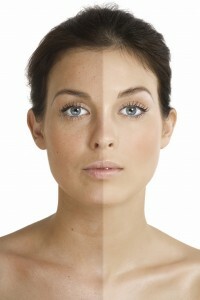 Each time your skin is exposed to the sun’s harmful UV rays, changes take place in the structure of your skin’s cells. Continuous exposure causes the skin to become permanently damaged, and also affects the immune systems ability to identify and get rid of any abnormal or cancerous skin cells. Skin cancer is the most prevalent form of all cancers in the U.S. UV radiation from the sun is the number-one cause of skin cancer, but UV light from tanning beds is just as harmful. In addition, exposure to sunlight during the winter months also puts you at risk. Melanoma Did you know that according to a recent report released by the CDC, the incidence of melanoma has doubled since the 1980’s? Melanoma is made up of abnormal skin pigment cells called melanocytes which produce melanin. It is the most serious from of skin cancer and causes 75% of skin cancer deaths. Severe sunburns, usually before the age of 18, can cause melanoma later in life so it is crucial to start protecting your kids early on. It is important to know that “early detection” is the key to preventing and treating skin cancers. An annual total body exam (TBE) is recommended with your dermatologist, especially if you notice sun or age spots. Consider an exam once yearly, perhaps on your birthday! For further information about detecting the signs of skin cancer, known as the ABCD’s (Asymmetry, Border, Color and Diameter), go to www.skincancer.org.